Pīr Sayyid Muḥammad Jīʿal Shāh Jīlānī Naqshbandī Mujaddidī raḥmatullāhi ʿalayhi passed away in the night preceding 11th August 2015 (26 Shawwāl 1436 AH), being close to 68 years. He was one of the most beloved deputies of the renowned Sufi master of Pakistan Khwāja Muḥammad Ṭāhir ʿAbbāsī Ḥanafī Naqshbandī Mujaddidī. He was born on 14 August 1947, the same day Pakistan became independent. It was Thursday the 27th of Ramaḍān 1366 AH. He first entered the spiritual path in the Qādrī ṭarīqah on the hands of Sayyid Ghulām-Murtaḍā Jīlānī (of Gambat, Sindh). After his shaykh’s demise, he entered the Naqshbandī tarīqah by the orders of Shaykh ʿAbdul-Qādir Jīlānī qaddas-Allāhu sirrahū. This beautiful story about his entering the Naqshbandī path is stated in his own words in Seerat Wali Kamil (Urdu). He took allegiance in the Naqshbandī Path on the hands of Shaykh Allāh-Bakhsh ʿAbbāsī Naqshbandī Mujaddidī in 1973 at Faqīrpur Sharīf (district Dādū, Sindh). 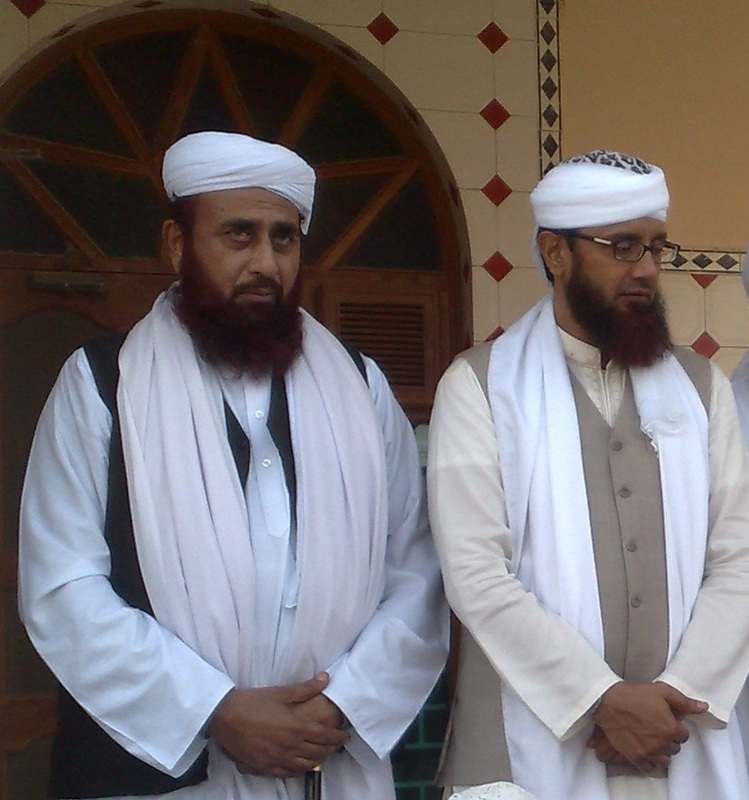 After completing his spiritual training, he was made a deputy by the Shaykh. When Shaykh Allāh-Bakhsh passed away in December 1983, he took allegiance with the later’s son and successor Khwāja Muḥammad Ṭāhir Naqshbandī. He lived in Jacobabad, northern Sindh, in Pakistan. 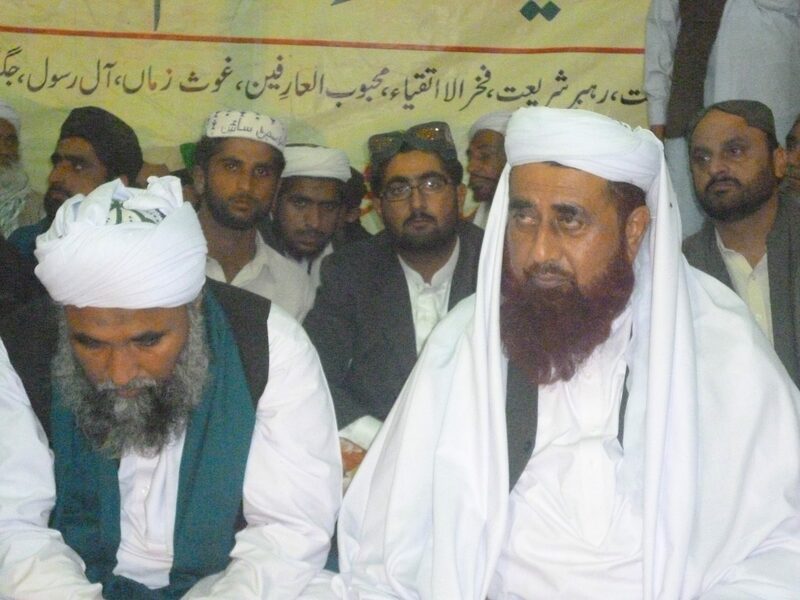 He preached in northern Sindh and neighboring Balochistan province. Despite being a true Sayyid of the Ḥasanī family and a descendant of Shaykh ʿAbdul-Qādir Jīlānī, he showed utmost respect to his Sufi masters, who also loved him and showed exceptional appreciation for him. He has a number of sons who are scholars of Islam and who are followers of the Naqshbandī Path. Among them, this author knows about Sayyid ʿAbdur-Raḥīm and Sayyid ʿAbdur-Raḥmān. May Allah raise him to the highest stations of His nearness and love, and make us follow his footsteps. Ameen. Sayyid Muḥammad Jīʿal Shāh’s writing about his entering the Naqshbandī Path and some miracles of his shaykh (Urdu). A letter written by Sayyid Muḥammad Jīʿal Shāh to his spiritual master Shaykh Allāh-Bakhsh (Urdu). This entry was posted in Pakistan, Sindh. Bookmark the permalink. The Allah, The Forgiver, has forgiven Pir sahib rahmatallah alaih by the special mercy of the Last and the Beloved Prophet Muhammad Sallaho alaihe wasallam. Ameen. He was the so pious man with all of us and his followers feel him with or around them. He left you alone but his soul will remain with you at all the times. He is alive and you will see him in your dreams.